An important goal of The Guibord Center is to increase opportunities for interfaith education and dialogue for elementary and secondary students. 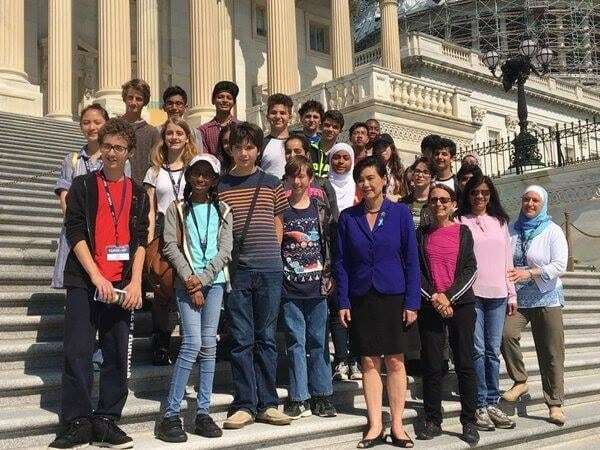 To that end, The Guibord Center is building strategic partnerships with local private schools in order to meet students where they are already active and have a supportive community for developing interfaith awareness. The following are current school partners with The Guibord Center. Campbell Hall is an independent, co-educational K-12 day school affiliated with the Episcopal Church that emphasizes academic excellence and spiritual formation, and is committed to fostering a community that honors the diversity of the human experience. Organize volunteers from a variety of faith traditions for Campbell Hall’s annual Book Week to read stories to elementary children on the theme of kindness and compassion. New Horizon School is a fully accredited, National Blue Ribbon school (Preschool – 8th grade) that offers both academic excellence and a firm grounding in moral and ethical values according to Islamic principles. 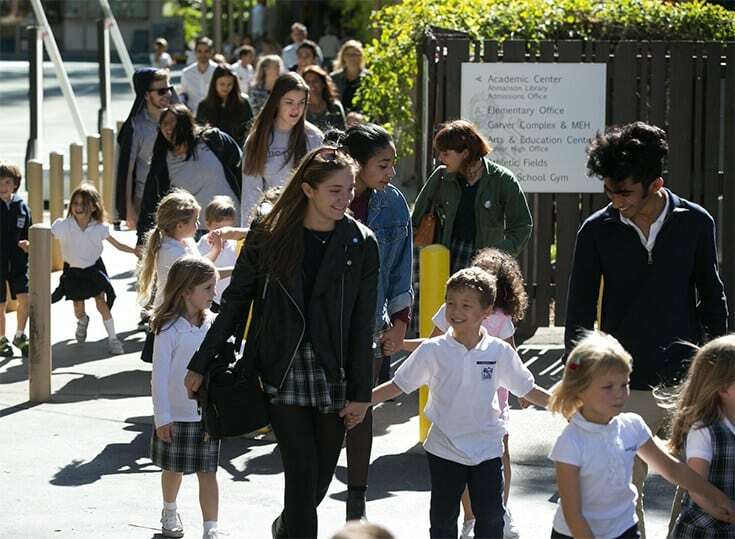 The Guibord Center works with New Horizon School and its interfaith partner, Weizmann Day School to host Faith and Friendship Day, a two-hour interfaith event for older elementary students. In April 2018, 5th and 6th graders explored how the teachings of Moses, Jesus and Mohammed demonstrate the values of commitment, compassion and contemplation in building a life of faith in God, taught each other about prayer practices and holy celebrations, and made new friends. 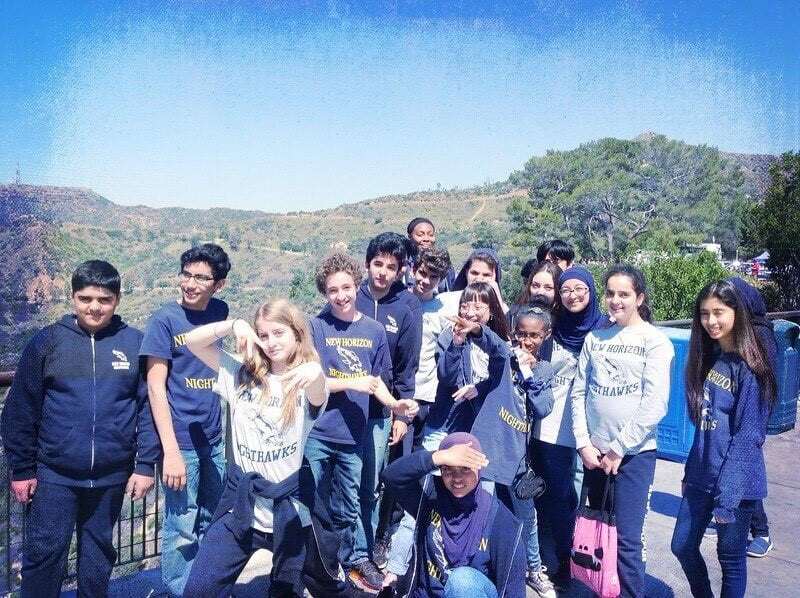 Crossroads School for Arts & Sciences is a progressive coeducational K-12 college preparatory school in Santa Monica, CA with a significant commitment to diversity, equity and inclusion. 47% of the student body identify as students of color. In September 2018, the school opened The Crossroads Equity & Justice Institute under the leadership of Founding Director Derric Johnson. The director’s position, as well as the operating and program expenses are fully endowed. 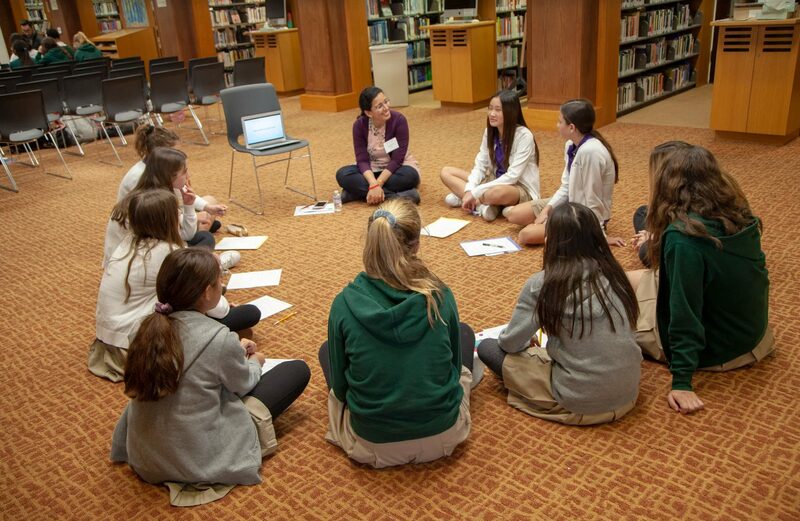 We introduced the Middle and Upper School students to several extraordinary female leaders from many faith traditions, and talked about what has made them influential agents of change. Each of the speakers highlighted one historical leader, one contemporary leader and one local leader so that students could see that women have always been people who have seen a need or an opportunity and used their own gifts and talents to bring about a positive change.